Monel fasteners are IN STOCK and readily available at Lightning Bolt. We can provide monel fasteners to projects all over the world- 24/7. 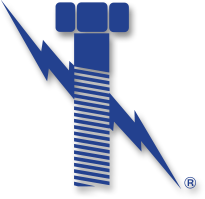 Lightning Bolt is an ISO 9001:2008 certified manufacturer and supplier of Monel fasteners. Monel is a nickel-copper alloy that is difficult to machine and work-hardens very quickly. Due to its intrinsic characteristics, it needs to be worked slowly. Since monel has a very high resistance to corrosion, and also exhibits excellent mechanical properties at cryogenic temperatures, this is the reason Monel fasteners are so commonly used in valves, pumps, and many other applications within the oil & gas and marine industry. Common members of the Monel family of alloys include: Monel 400, Monel 401, Monel 404, Monel 450, Monel K-500, and Monel R-405. Why Lightning Bolt for Monel Fasteners?